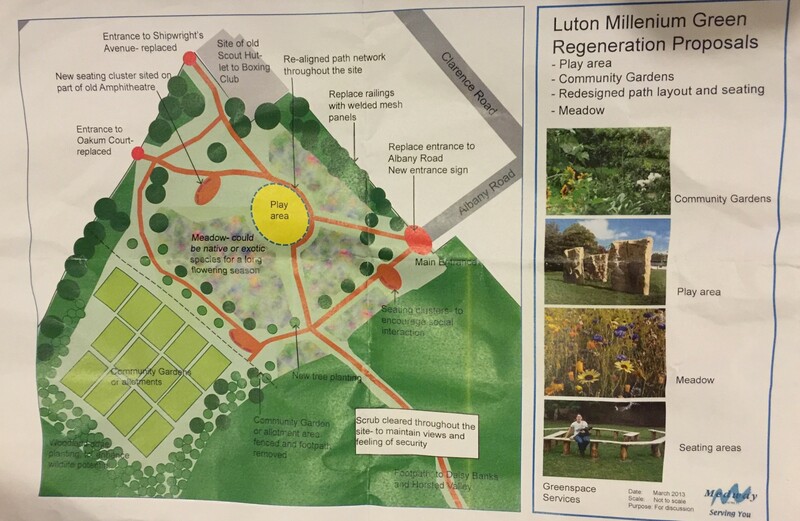 Had a great meeting yesterday with the Medway Greenspaces team to discuss the future of Luton Millennium Green and how Arches Local can help shape it future. 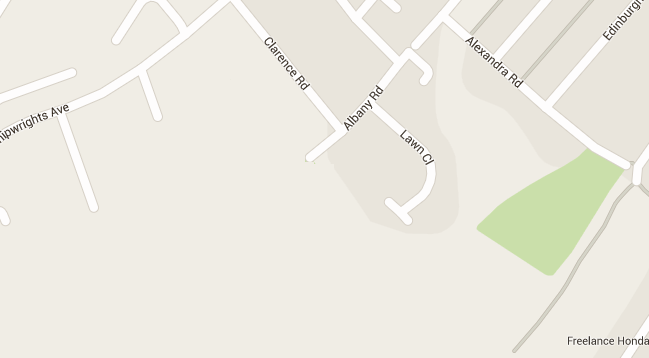 Remember they are to generate conversation not any final plans. 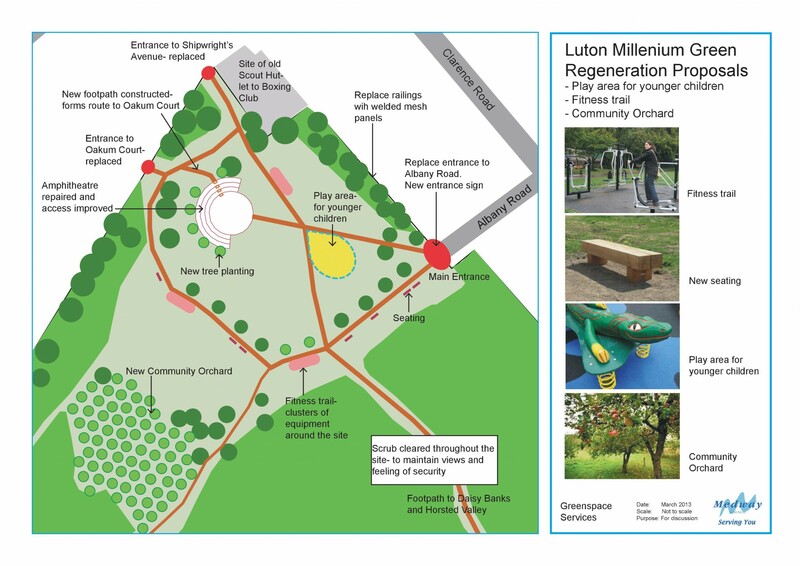 Always amazed at how many local people do not know Luton Millennium Green exists though we are always looking to raise awareness of it by sponsoring such event like MYT Charity Fete there. 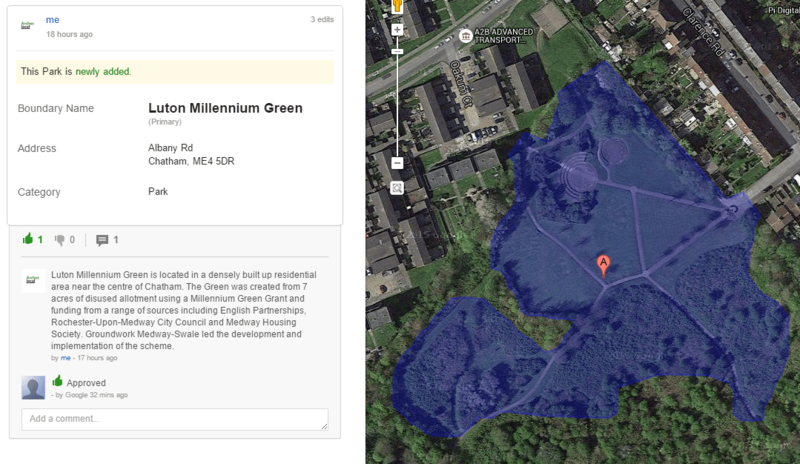 On checking google maps there is no mention of Luton Millenium Green so I added it and got confirmation back today so hopefully it will help raise awareness of it. 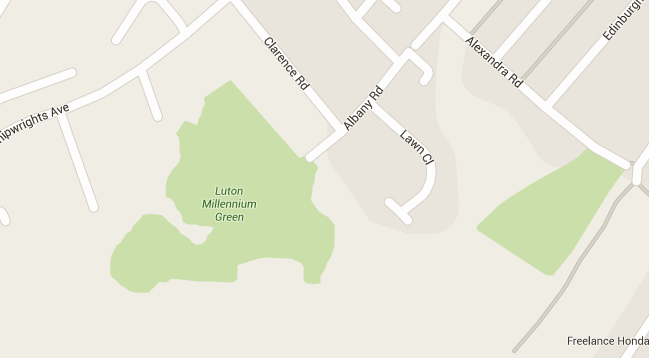 What was a blank white space on Google Maps now .. ! !